My friend Alyson and I went to language school in Québec City last week, and amidst all the brain-aerobics, we got to people-watch. The initial days were also a micro-lab in first impressions. Who was the reserved woman in a skirt suit? Why did another woman of around fifty wear denim bib overalls... every day? Alyson, a university prof, occasionally talks to her graduate students about the message their appearance sends; when they are employed, they will be in front of the public. But she feels that she's not a consistent role model; she says she "sinks to the level of my students". Her shoe of choice the hiking boot, her favourite fabric, GoreTex. She had planned a little spree at the Québec City MEC, and was disappointed to find it had just moved from practically next to the school to a far suburb. She asked me, what is the next level up from performance wear? She had never heard the term "athleisure". I promised to go shopping with her to explore such items. She may be shocked at the price, because well-made clothes in that niche use innovative, costly fabrics. Still, she could wear them on and off campus, so I will encourage her to pay the premium. Above, pieces from Kit and Ace, a LuluLemon subsidiary whose line goes only up to a US 10—just like the parent company. I wish they made larger sizes (including plus). 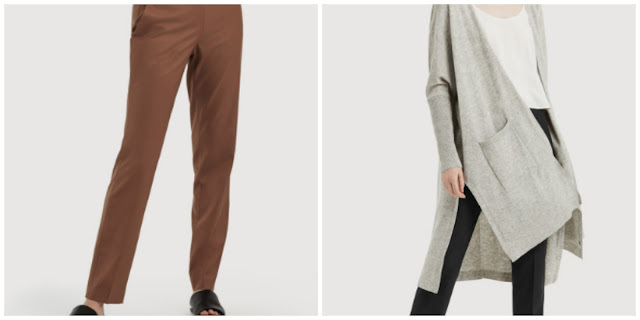 Left: The Go-To Pant 2.0 is a washable blend of wool, spandex, cashmere and silk: yum! Price, $US 128. Right: The Long Haul Cardigan, $218, a blend of wool, cashmere, and a tiny bit of nylon and spandex. I love the pockets, and the slashed hem that raises it from the sacklike silhouette of many long cardigans. Another brand I'll take her to, Lole, offers transitional pieces among its more athletic items. Left: I am a fan of Lole's Travel Pants (up to size 14), which look polished enough for all but business formal settings, and dry wrinkle-free, in a flash. They are made of nylon, a mixed fiber that contains some bamboo, and a good shot of spandex, so they don't bag. Sometimes, they make them in other neutrals than black. Top right: The Sammy sweater is a blend of two-thirds linen and one-third cotton; shown, lichen. Price, $CDN 100. 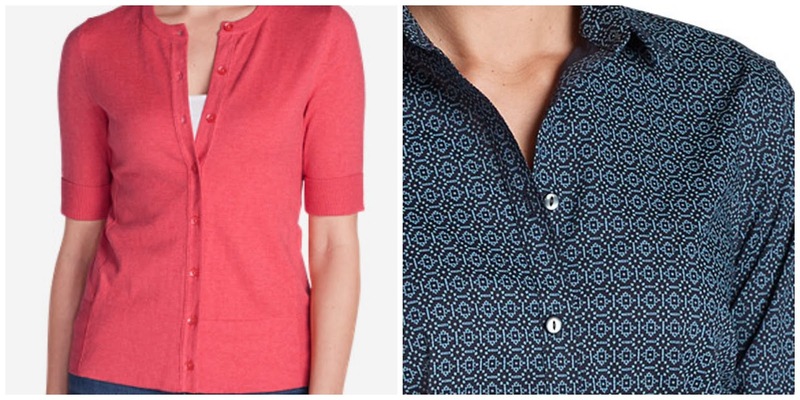 Bottom right: The Essential Cardigan ($CDN 115) can be worn indoors or out, and dressed up with a pendant or scarf. I like the subtle stripe, too. With athleisure, you have to be judicious. Much of it will go from a yoga studio to your supermarket, but not to a committee meeting. I'd avoid fabrics described as "ripstop", drawstring pants, or things with Sanskrit on them. Left: It's hard to find a cardigan with this sleeve length, perfect for classroom lectures. The Christine Elbow Cardigan in a washable cotton-nylon blend is on sale for $30, and comes in sizing up to XXL. Right: Many women like outdoor wear because it's low-maintenance. Eddie Bauer's navy print wrinkle-free shirt gives that ease, but looks more polished than a tee. Iris Apfel says, "If you have a good haircut and good shoes, you can get away with anything." Off with the trekking boots, but my friend still wants arch support and a heel that is not pancake flat, but low. Two options: Reiker #52667 in denim blue ($CDN 120 at Leclerc Chassures) is a smart segue from the hiking boot. I was charmed by the pale grey and flowers on a pair of oxfords by S. Oliver, $CDN 120— more "me" than her, but I also think sometimes athleisure needs a little softening. Athleisure has been called the fastest-growing apparel niche so expect to see more of this hybrid on offer. It still takes some thought, but it's well worth some closet space for such versatile, wearable clothes. Those elbow-length sweaters in Tall are a find, and at a great price, too. There's a sleeveless version of the shirt, essential when one lives in a desert climate. Maybe it's just me and my difficult feet, but for anyone used to shoes with real support, your alternatives could be a hard sell. But they're undeniably attractive. Wendelah: Difficult feet need specialized shoes. Alyson has no particular problems (such as bunions) but twisted an ankle not long ago and if not supported well, it acts up. If you would like to recommend an orthopedic shoe brand (or model) you like, please do so for the benefit of readers who need them. I hope you had a wonderful time in Québec, despite the bitter weather. I'm also disappointed that MEC there has moved; it was so convenient to drop in there when staying in Québec! Since returning to Yoga classes I have been wearing casual stretchy pieces more often and regularly go to the market after my class. The new relaxed athleisure lines will be worth studying. 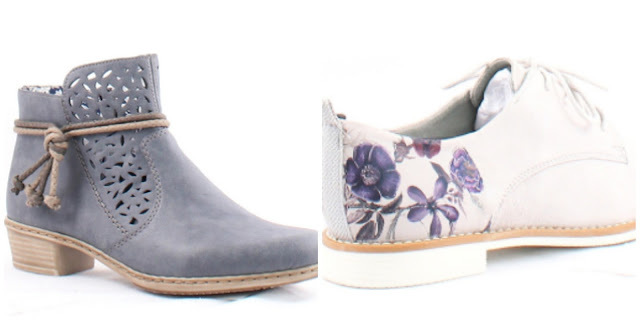 Thank you for the introduction and now I am wanting some new hipper footwear! Hope you enjoyed your Quebec City jaunt! lagatta: The skirts are all short, and generally the line is a narrow missy cut, but there are always some looser cuts among the tops. hostess: My friend is still working, so is looking for dressier footwear than what we would be likely to wear to and from yoga. For that, I usually wear shoes that kick off and can withstand being 'nudged' when left at the door. Riekers are actually quite supportive - not a true orthopaedic line, but designed for people who walk a lot, like many northern Europeans. https://www.rieker.co.uk/remonte-ladies-c63 Their Remonte line tends to run wider and more supportive (i.e. for older consumers) but many are stylish. One finds longer skirts in "travel" lines, but with the opposite problem - they can be too fusty. Looking at Kit and Ace site, and the size chart, it appears that they go to a size 12. Have you tried any of their clothes? Those Trousers look nice! Also, another vote for longer skirts, with zippered pockets. So hard to find! Royleen: Yes, tried on sweaters and found them well made. Did not try the trousers. Went to see the much-vaunted "technical cashmere" which blends the fibre with spandex. They are proud to say it is washable but I wash all cashmere knits anyway. The colours are all neutral so I spent my budget elsewhere, but I would buy Kit and Ace. lagatta and Royleen: For longer skirts with POCKETS in performance fabric check out www.macabiskirt.com. The "pants" option was weird to me, but the skirt is genius. I had one. This is a terrific longer skirt and also comes in an even longer length and in many sizes. I think the pants - sahrouel, sirwal or "Turkish trousers - look ridiculous on Westerners. I have intrepid adventurer friends who swear by them (to do adventure travel stuff and also appear as modest in some countries and regions). Indeed they are excellent quality. But yes, I dearly want pockets and at least one zippered one, and something that is not a mini. Macabi gets points for some colours! I'm all over athleisure style since I have retired. Especially track pants as a change from jeans. To me they're modern and wearable. I Found a nice lightweight pair in bone at Uniqlo at a reasonable price. I looked at Kit and Ace but was very put off by the size ceiling and the super neutral colours on offer. More to my taste is Miik, Canadian made, quality fabrics and a varied range of colours and sizes. 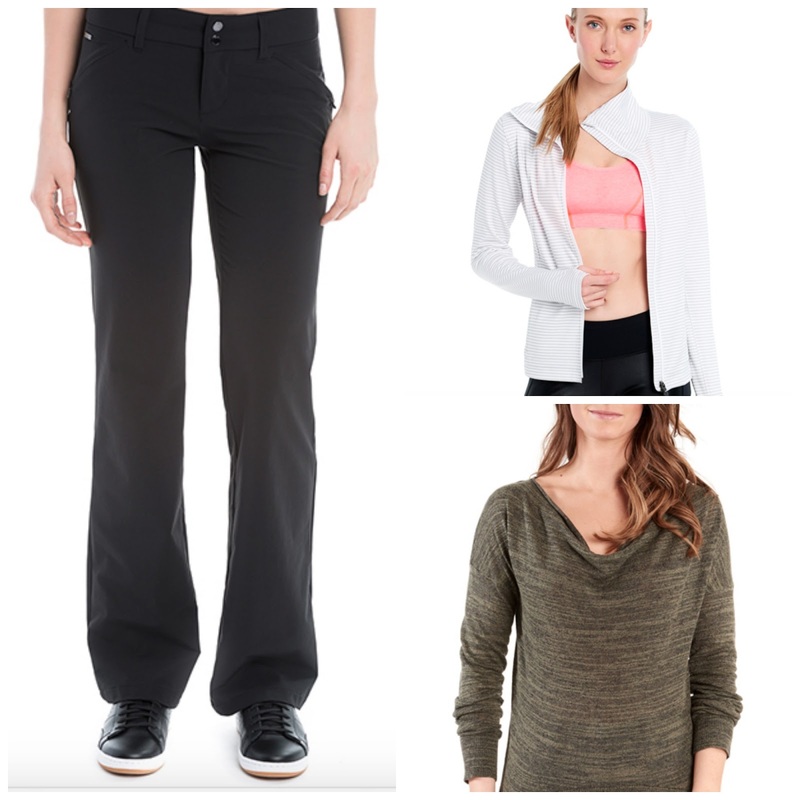 https://www.miik.ca I have bought and worn the Silvie slouch pants, Christina hooded tunic, Sadie top and Lea tank. Love the feel, comfort and good looks. Maybe too much information but I couldn't resist plugging a made in Canada option. I have also bought and worn the Dressy Sweatpants from Encircled, another made in Canada company https://www.encircled.ca Their stuff my not be polished enough for your friend but it's worth a look. Love also has some nice pieces although I find the cut is too small at the hips in many cases. Athleisure has some great advantages, I'm still experimenting as I'm wary of looking like I'm trying to dress 'young'. LauraH, thanks for your advice - I prefer to buy locally and ideally to be able to try things on at the shop. Duchesse and Materfamilias, the food writing of Rachel Roddy in Rome with her husband, their little boy and all the neighbourhood gives me such joy: https://www.theguardian.com/lifeandstyle/2017/apr/04/spinach-herb-and-ricotta-pie-recipe-rachel-roddy-torta-pasqualina I'm also posting this because I have made it for friends from Argentina, for whom a PASQUALINA becomes a PASCUALINA in Spanish - huge Italian influence in Argentina and they make it too, though sometimes with chard as Easter is in autumn down there. Lagatta, Miik definitely sells in retail stores and I believe so does Encircled. Usually stores featuring natural fibres, made in Canada, that type of approach. I gave the websites just so people could have a quick look. The Macabi skirt was designed by a woman who wanted one item to wear both fly fishing and to a restaurant- that's why she came up with the 'pants' modification- which you never have to go near. The skirt is ideal for travel- swish out and dry quickly, and appropriate for countries where you would not wear shorts or even skirts at the knee. But I'd also wear it here. LauraH: Thanks for the Milk reccie. I'd say that, like the Bauer pieces I showed, this is not athleisure, which uses techno fabrics and finishes that stand up to sports. But, the line is blurry. You might also like the clothes made and designed in Toronto, by ItFitzMe. (Kit and Ace are a. Canadian company but the clothes are made elsewhere, just like the parent , LuluLemon.) I drool over their "techno cashmere" but where are the bigger sizes? There has been much criticism of LuluLemon for the same issue. Thanks, Duchesse, for the Macabi skirt reminder. I have used them in the past for specific type of travel, but found them bulky for around-town wear. On the lookout for more tailored options! For many reasons, I prefer skirts to pants, especially in hot weather. I am a devoted yogini, and LuluLemon wears like iron; however the lack of larger sizes makes me crazy. I can fit into some of the size 12 tops, but that's it. Aaarrgh! Rroyleen: Had to go down 2 sizes in my Macabi skirt and got the shorter of the two options. But then, I do not wear above the knee skirts. Someone should take on LuluLemon! Prana wears well too but no better re size range. psst, skirts are also better for off-piste peeing. Yes, it happens. http://www.columbiasportswear.ca/en/womens-all-who-wander-skirt-1658121.html?cgid=activity-travel&dwvar_1658121_variationColor=010#start=7 It is long enough for me. It looks as if it would be quite cool for summer wear, which is why I'd rather have it in the fine stripes than all black, and the pastel-toned version would show dirt too much when travelling, and washing it out in the sink. Lagatta, thanks very much. The Columbia skirt is a good one! Athleta, owned by Gap, has some fantastic athleisure. Worth checking out, although not easily available in Canada.